Contrary to urban legends or coed skulduggery, college is not just about beer pong and parties. There is also this stuff you call projects and research papers. While books are still used, more and more resources are web-based, and rarely does a professor ask his class to submit hand written papers. So, having a laptop is very handy for a college student. Imagine writing a 1000-word paper by hand? Like, are you kidding me? The inventors of these awesome machines we call laptops certainly did not invent them just so humans could continue with their old, beaten ways. They are meant to lighten our loads and make life easier for us. So, why not utilize them? In case you’re wondering what laptop to choose, lucky for you, I have here a list of the top three choices for the best laptop for a college student. It must be tiring to see this Apple product listed on every list available online that mentions the top laptops in the market. Indeed, the hype around Apple products is very high, thus producing an equal number of haters and fanboys alike. That makes a person think: Do Apple products live up to the hype? Are they really that good? Ask that question and expect polarized answers. For example, the MacBook Pro (Retina Display) has been both praised to kingdom come by reviewers and then blasted to the ends of the earth by critics. What’s the real deal, then? 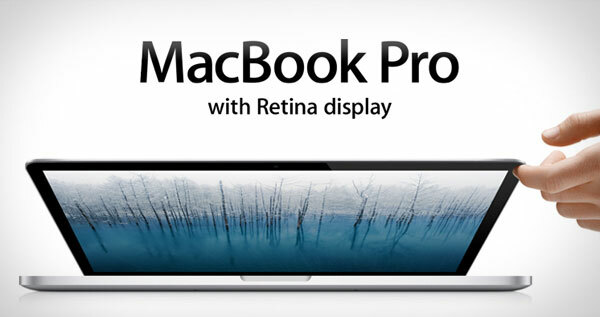 Well, for starters, the screen of this MacBook is simply stunning. Students that do a lot of graphics or video editing would appreciate the bump in resolution that is now a mind-boggling 2,880 x 1,800 pixels. They’ll also love the ultra-fast Ivy Bridge i7 processor. The new MacBook is ultrathin, too. At 0.7 inch, it is almost as thin as the MacBook Air. Aside from the two grand that you need for this beast, there is little to hate about the MacBook Pro, and oddly, besides the Retina screen and the awesome build, there is little to love, either. The specs are, frankly, the standard among laptops at this price bracket and even below. If you’re just a normal college student, with your own student loans to bear, it’s not really practical to buy this laptop. However, if you’re a rich, spoiled brat studying at an Ivy League university, then by all means. Or, if you’re feeling generous, you could opt to buy a similar-specs Windows device at almost half the price and then donate the money you saved. Among manufacturers, laptops have this tainted reputation of having the worst durability and are pretty much unreliable when it comes to after-sales support. 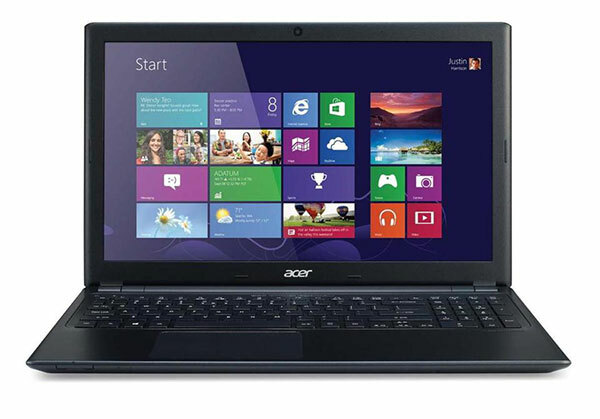 However, despite the tainted image, people still buy products from Acer, especially its low-cost laptops. One such laptop is the Acer Aspire V5-571-6891 which costs roughly $500, but then features hardware that is mostly reserved for a higher tier in terms of price. The i3 processor, integrated Intel graphics and 6 GB RAM certainly won’t win any speed contest, however, the competitors of this laptop at this price range all feature an Intel Pentium or AMD E-class processor which are very inferior in terms of performance. Although sporting Windows 8, this laptop is not touch-enabled in order to keep the price down. While it is not a deal-breaker, since some areas of Windows 8 have yet to become touch-friendly, Windows 8 is handier when using a touchscreen, especially for the Start menu and other multimedia programs. Understandably, graphics intensive games are out of the question, though older games at low frame rates can be played quite smoothly, and videos, even at 1080p, can be played with no stutters. This is a safe choice, IMHO. Maybe you won’t even consider this as a laptop since it’s basically a browser with accompanying hardware. 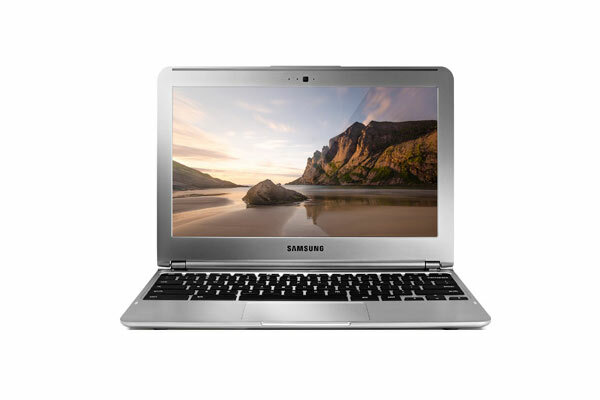 But then, compared to the MacBook Pro and even the Acer Aspire V5, this Chromebook is dirt-cheap. That’s right, for $250, you’ll have a machine with the most basic functions of an ultrabook. The ultrabook reference is not just a jibe: The Chromebook weighs 2.4 pounds. Furthermore, the dependence of the Chromebook for Google services is an added bonus for a college student. Is there any person left that does not have a Gmail account or Google Plus? Colleges also nowadays offer free Wi-Fi service on their campuses. You can also access and edit your documents using Google Docs which now features a plethora of editing and formatting options for your documents stored online. The free 100 GB cloud storage will be an additional advantage. Also, the lightweight Chrome OS is sure to handle tasks smoothly. That is, browser tasks. And therein lies the disadvantage. The OS is built atop a browser, Chrome. So you’re basically paying $250 for a glorified browser. How does that sound? And woe to you if your college does not have free Wi-Fi. You’re limited to the 16 GB storage and the unusable apps that require an internet connection to run. Spare me your profanities. Before you scream your lungs out and close this tab on your browser in disgust, hear me out. These tablets are indeed underpowered and out of their league compared to the laptops above, but then, you must consider the benefits of having a tablet over a laptop, especially as a college student. Besides being more portable, these tablets are incredibly cheap and can do all the things a casual user does on his laptop. The Google Play Store has thousands of free and paid applications that add to the functionality of the device. Documents can be viewed and edited for free by downloading free office applications such as Kingsoft Office. There’s even a Photoshop Touch for Android, which for $4.99 has the most common editing options that you have with the desktop version of Adobe Photoshop. The latest Android tablets are all blazing fast and have a very large fanbase that shares ideas and even custom roms (like Cyanogenmod) to use to improve the already buttery performance. Tablets may not be viable alternatives since they do less than laptops, but why not? Just buy a USB keyboard and you’re all set to type on your tablet since typing on a touchscreen can be cumbersome at best. Just forget about opening multiple windows. The most that you can open simultaneously is two windows using a Samsung Galaxy Note 10.1 or Galaxy Note 8.0 which both cost more than the Chromebook. Otherwise, just one program at a time. If you’re swamped with student loans and still need a laptop, well, you might want to sell your old laptop. There are various websites available online that let you post an item and then receive offers from interested buyers. Amazon and eBay both offer roughly the same features, yet Amazon asks for a commission fee for every successful deal, so you might not want to post your item there. EBay offers free service, yet like Amazon, it is a feedback-crazy site. Users with a lot of feedback tend to sell their items quicker and buyers tend to be wary of new users with no feedback. Partying can be fun, but then remember that you are in college for a reason other than to pass out after too much booze, and…. Pfft. Who am I kidding? Parties are so lame, says a geek with no life. Reading books is much more exciting; playing computer games, too. Though it gets sticky when using an underpowered laptop, it will do for college students who are far away from home and only rent lodgings. Besides, an i5 processor usually does the trick. Couple it with a few GB of RAM and you’re good to go. Once Skyrim goes online, I’ll hand you your derriere on a silver platter. Are Smartphones and Tablets Going to Replace Desktops and Laptops?